After having a baby either vaginally or via c-section, your body has a fair bit of recovering to do, so take it easy on yourself! Generally, with a vaginal birth you can start to do some gentle, low impact exercise (including, walking, breathing exercises, Pilates, yoga and swimming – once your bleeding has ceased) as you feel ready to. After a c -section it may take a little longer as this is major surgery – check with your obstetrician at your 6 week check regarding any restrictions but again, gentle exercise like walking, pelvic floor and breathing exercises are fine to start as you feel ready to. Because every woman’s pre-pregnancy and pregnancy fitness levels will differ (as well as their birth and any associated complications) so will the timing of returning to higher impact activities like running, resistance training and team sports. If you are keen to return to these activities it is advised to wait at least 6 weeks, then to have a check with a Women’s Health Physiotherapist at Coastal Physiotherapy to assess your abdominal and pelvic floor muscles and get specific advice about commencing higher impact activities. After a c-section it is beneficial to wait at least 3 months before commencing higher impact activities due to tissue healing times post-surgery. 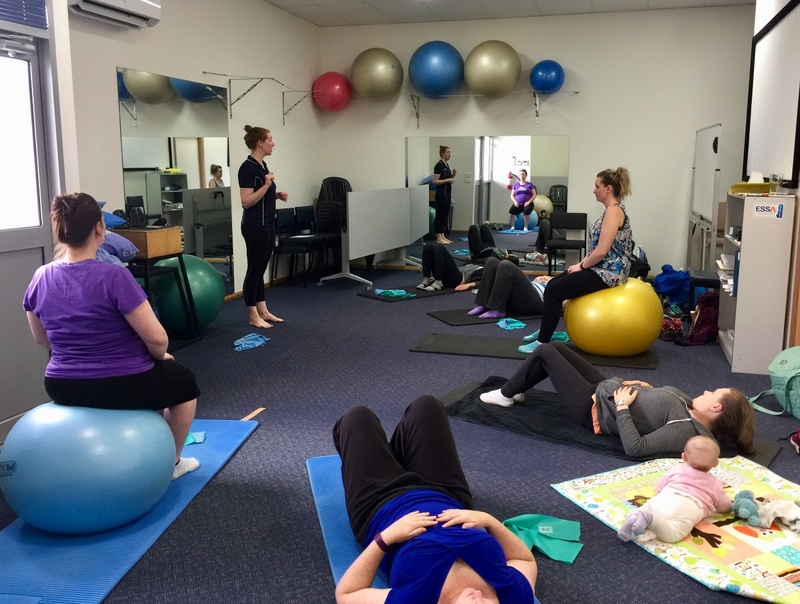 If you don’t know where to start or would like some guidance, an exercise option available at Coastal Physiotherapy is our mums class (both ante and post-natal) where you can do gentle exercise in a relaxed and friendly group setting. You can bring bub along and stop to change/feed as you need to. The class is run by Georgie, a qualified Physiotherapist with a special interest in women’s health, and numbers are capped so she can keep a close eye on everyone. It is a casual class where mums and mums-to-be are encouraged to chat and can also feel comfortable to ask Georgie any questions they might have. If you are interested in the class give Coastal Physiotherapy a call to organise an assessment. If you want to see Georgie or Steph about any post-natal issues including abdominal separation, pelvic floor issues or back pain, then ring Coastal Physiotherapy to make an appointment.